Het jy geweet dat daar geen Skrifgedeeltes in die hele Bybel is wat sê dat ons die sondes van ons voorouers moet bely nie? Het jy geweet dat daar geen Skrifgedeeltes in die hele Bybel is wat sê dat ons bloedlynvloeke moet breek nie? Het jy geweet dat daar geen Skrifgedeeltes in die hele Bybel is wat sê dat ons (as Christene) vir die sondes van ons voorouers gestraf kan word nie? Het jy geweet dat daar in werklikheid Skrifgedeeltes in die Bybel is wat sê dat elkeen net vir sy eie sondes verantwoordelik gehou kan word? Het jy geweet dat daar in werklikheid Skrifgedeeltes in die Bybel is wat sê dat niemand die sondes van voorouers hoef te dra nie? Het jy geweet dat daar in werklikheid Skrifgedeeltes in die Bybel is wat sê dat die sondes en die ongeregtighede van die onregverdige net op hom alleen is? Hierdie Skrifgedeeltes beklemtoon dat ‘n onregverdige persoon se sondes en ongeregtighede nie oorgedra kan word na kinders en kleinkinders nie. Dit beklemtoon dat hy sy eie sondes moet dra en dat niemand hom kan help dra nie. Het jy geweet dat daar in werklikheid Skrifgedeeltes in die Bybel is wat sê dat die geregtigheid van die regverdige net op hom alleen is? Hierdie Skrifgedeeltes beklemtoon dat ‘n regverdige persoon se geregtighede nie oorgedra kan word na kinders en kleinkinders nie. Dit beklemtoon dat die verantwoordelikheid op elke mens persoonlik val om hom te bekeer van sy eie weë om geregverdig voor God te kan staan. Het jy geweet dat daar Skrifgedeeltes in die Bybel is wat sê dat elkeen net sy eie sondes wat hyself gedoen het moet bely? Het jy geweet dat daar Skrifgedeeltes in die Bybel is wat sê dat elkeen vir sy eie sondes moet betaal en dat die seun nie in die vader se plek gestraf mag word nie en dat die vader ook nie in die seun se plek gestraf mag word nie? First I need to give you some background on why these Scriptures on generational curses came into existence in the Bible: The Israelites did not really understand the concept of generational curses and so a lot of misunderstanding and a lot of myths came into being in Israel in the time of the prophet Ezekiel. There was actually quite a debate among the Israelites on this subject. They knew that something of this nature was written in the book of Deuteronomy but that was about all most of them knew about the subject. Remember that those days the Old-Testament was not available to the common man resulting in a lot of speculation about the word of God. God saw all the misunderstandings and He heard all the speculations so He decided to get involved in this debate with the sole purpose to set things straight. We read all about this in Ezekiel 18:1-32. God literally got involved in this debate! The Greek word for “world” in this Scripture is “кόσμος” which means the “whole world and all its residents”. This means that Jesus Christ was punished in our place. Even the sinner does not have to be punished today. This is called the “time of grace”. From the moment that Jesus died and got punished for the “world” on the cross, nobody is punished until of course an unbeliever dies without Christ. At that moment, when he dies, the curse of the law hits him with full force. That means that the moment a person dies without Christ, he now needs to carry his own punishment. This is clearly stated in Isaiah 65:20. This Scripture pointed to the time of Christ, the good and acceptable year, the “time of grace” where even sinners will live a full and a long life. However when his time of grace runs out, he will be cursed and he will pay the penalties for his sins. Have you noticed that really bad people live a long “sickless” life and that they are often really blessed financially and in other areas of their lives? This is because God does not punish anybody anymore because of Jesus being punished in our place. Again, when the wicked man turneth away from his wickedness that he hath committed, and doeth that which is lawful and right, he shall save his soul alive. Because he considereth, and turneth away from all his transgressions that he hath committed, he shall surely live, he shall not die. 13 Hath given forth upon usury, and hath taken increase: shall he then live? he shall not live:he hath done all these abominations; he shall surely die; his blood shall be upon him. God really wanted to kill this false doctrine in its tracks. In the Old-Testament already! If you read the whole chapter of Ezekiel 18 you will see that God purposely covered all scenarios and all aspects from all angles in order to make it as clear as daylight that everybody will be accountable for their own sin. There is no such thing as generational curses because everybody pays for his own sin. Because everybody pays for his own sin everybody must repent of his own sin. The accountability of sin is respectively upon each individual. God says a number of times in this chapter that the soul that sins, that soul must die. Even in Deuteronomy 24:16 he said that the son cannot be punished for the father’s sin and the father cannot be punished for the son’s sin. The Bible just cannot be more clear on this subject than this. Now there is absolutely no Scriptures that states the contrary. So what did the deceivers do to counter this problem? They made a lot of statements that contradict these Scriptures. These statements are the foundation of this false doctrine. Secondly they attempted to use some Scriptures out of context to support these statements. Now this portion of Scripture has nothing to do with the church and nothing to do with believers. It has everything to do with people that HATE God. Verse 10 can be related to us though because we are people who LOVE God. It is however quite interesting to note that verse 10 says the same thing as Galatians 3:20. It also says that we are blessed and not cursed. This was God’s way of telling Israel, whom He is about to make a covenant with, how He feels about heathen nations who HATE Him. Verse 9 can only be related to people who HATE God. Unbelievers could have been brought into the equation here was it not for Ezekiel 18 which clearly states that the one (son or father) SHALL NOT help to carry the sins and iniquities of the other (son or father). This portion of Scripture does NOT support generational curses in a Christians life because it was at that time only applicable to nations and people who HATED God. It also does NOT support generational curses in an unbelievers life because of Ezekiel 18:20 which clearly states that the one who sins must carry his own punishment and that the son will not carry the father’s iniquities. This Scripture has nothing to do with generational curses. It has everything to do with the nation of Israel. Just as we today as an “Afrikaner” nation have to carry or “pay” for the results of “apartheid” because of the decisions our nation’s forefathers made. “Apartheid” was a sin. The Israelites also had to carry the burdens of the mistakes and sins of their forefathers. Many nations all across the world have been burdened in the past and are still being burdened today because of the sins of their forefathers. Germany and Japan are classic examples of this. Adolf Hitler and the German nation as well as the Japanese nation committed serious atrocities and war-crimes during world war two. Both these nations were severely punished for this in terms of war-penalties and discrimination through the years. The culprits were long dead while their innocent descendants were still paying for their iniquities. This is what this Scripture in Lamentations is all about. It has nothing to do with visiting the iniquity of the fathers upon the children unto the third and fourth generation. It has nothing to do with family or generational curses. Ezekiel 18 clearly states that when it comes to family, the son WILL NOT carry the sins of the father. He will not be accountable for his father’s sin and the father will have to carry the consequences of his own sin. Again this portion of Scripture is all about the nation of Israel. Nehemiah fasted and prayed for the nation of Israel that was taken into captivity. He mourned over the walls of Jerusalem that were broken and the gates that were burnt. It has nothing to do with generational curses. Nehemiah also mentioned that he himself and His father’s house also sinned against God. This was all about the judgment of God that came upon the nation of Israel. The doctrine of generational curses is an example of how easily people are being deceived. Although Scripture is clear on the truth about this subject people are still being conned into believing a lot of things about this doctrine which are not Biblical. Die waarheid omtrent bloedlynvloeke is so duidelik soos daglig. Die Bybel kan nie duideliker wees daaroor nie. Mense is onder die indruk dat ‘n kind van God deur satan aanbidders en ander mense vervloek kan word. Hulle kan nie verstaan dat niemand iemand kan vervloek wat deur God geseën is nie. Kan jy dit glo? Waar is ons geloof in die woord van God? Ons het nie geloof nie want ons ken nie die woord van God nie. Geloof is uit die gehoor en die gehoor is deur die woord van God. Dit is so eenvoudig soos dit. Ons herken nie die leuen nie want ons weet nie wat die waarheid is nie. As jy hoor van satanaanbidders wat op berge en hoogtes bymekaar kom om teen huwelike en kinders van God te bid en om vloeke oor hulle uit te spreek hoef jy letterlik glad nie daarop te reageer nie. Jy kan oombliklik omdraai en verder slaap sonder om een sekonde verder daaroor te dink of daaroor te bid. Ons stry ‘n geloof stryd. Ons stry nie ‘n fisiese stryd teen bose magte nie. As ‘n satanaanbidder vir sy god bid, wat kan sy god doen? Net mooi niks! Hulle is reeds oorwin op Gólgota en Christus Jesus het hulle al reeds ieder en elk in sy triomftog in die openbaar ten toon gestel as ‘n verslane vyand. nadat Hy die owerhede en magte uitgeklee en hulle in die openbaar tentoongestel en daardeur oor hulle getriomfeer het. Hulle het die onderspit eens en vir altyd gely en kan nooit in der ewigheid ooit weer van die grond af opstaan nie. Die woord “uitgeklee” beteken afstroping, berowing of uittrek. Dit is niks anders as die ontwapening van die vyand nie. In die Bybelse tyd het die seëvierende koning die vyand uitgeklee en in ‘n triomftog deur die strate van die hoofstad of die vesting van die koning geneem. In die prosessie het die koning en sy soldate deur die strate op hulle perde gery met vlae en baniere. Die voetsoldate was ook daar. Dit was ‘n hele triomftog. Die skare het langs die paaie hierdie optog aanskou en saam die oorwinning gevier. Dit was ‘n wonderlike en ‘n heuglike gebeurtenis. Die vrouens en kinders asook die ouer garde het gejuig en ook vlae en baniere geswaai om die oorwinning te vier. Hierdie triomftog is afgesluit met heuglike feesvieringe tot laat in die nag. Die verslane koning en sy belangrike hooggeplaaste offisiere is in kettings deel van hierdie triomftog gemaak. Hulle moes so vasgeketting, moeg, uitgemergel, met slepende voete as gevangenis van die seëvierende koning deel van die prosessie uitmaak. So ‘n verslane koning is letterlik uitgeklee en in die openbaar tentoongestel. Almal kon sien hoe daar oor hom getriomfeer is. Na die triomftog is hulle gewoonlik na die kerker geneem waar hulle in haglike omstandighede aangehou is en meeste van die tyd doodgemaak is. Dit is presies wat Christus Jesus in die gees wêreld met die duiwel en sy gevalle engele gedoen het. Lees weer Kol 2:15 om hierdie waarheid te verstaan. In die geesteswêreld was daar so ‘n openbare prosessie waarin die duiwel en al sy bose engele uitgeklee en tentoongestel is. Alle geestelike wesens het hierdie prosessie besigtig. Jesus is deur die Goddelike wesens van God verheerlik omdat Hy oor die duiwel getriomfeer het. Die slagting was hard en finaal! Die bose magte het nie ‘n kat se kans gehad nie. Dit was ‘n skielike slag wat hulle van alle outoriteit, mag en krag gestroop het en hulle het nou nog nie tot verhaal gekom nie. Hulle ore tuit steeds so hard dat hulle nog steeds niks kan hoor nie. Die Bybel sê dat Jesus Christus die bose magte tot “nul” gemaak het. Hulle het dus geen outoriteit en steeds geen krag nie. Ons stryd is wel teen die bose magte in die lug maar daardie stryd vind hier tussen ons ore plaas. Hulle bombardeer jou met leuens en sit en duim vashou dat jy dit sal glo; daarom is dit ‘n geloof stryd. Dit is die ENIGSTE kans wat hulle het. Moenie dat die duiwel jou ooit uitdaag tot ‘n fisiese stryd nie. Hy sal graag wil hê dat jy in die een of ander stryd teen hom persoonlik betrokke moet raak want dan weet hy dat jy nog nie weet dat hy oorwin is nie. Nee, jou stryd is teen sy woorde, die leuens wat by sy mond uitkom. Kinders van God het ook die woord “geestelike oorlogvoering” te ver gevat. Dit skep die indruk dat daar ‘n oorlogvoering aan die gang is en dit is nie die waarheid nie. Kom ons gebruik die term wat die Bybel gebruik: Staan daar iewers geestelike oorlogvoering? Nee, die Bybel praat van ‘n stryd. Daar is nét ‘n stryd aan die gang. ‘n Innerlike stryd. Daardie stryd is binne in jou; dit is die wisselwerking wat plaasvind tussen jou fisiese brein, jou geestelike brein en die Heilige Gees binne in jou. Baie belangrik: Merk op dat hier tydens hierdie geloof stryd geen interaksie met die duiwel of bose magte persoonlik is nie. Ons raak nie in ‘n stryery met die duiwel betrokke nie. Ons hoef nooit, danksy die oorwinning wat Jesus vir ons behaal het, nooit ooit persoonlik teen die bose in enige stryd betrokke te raak nie. Ons stryd is altyd ‘n geloof stryd. Dit is ‘n “wat moet ek glo?” stryd. Ons moet net altyd ons gedagtes onder beheer kry deur elkeen van hulle gevange te neem en te onderwerp aan die woord van God. Hier sien ons baie duidelik dat ons nie besig is met oorlogvoering nie maar met ‘n stryd. Ons werp vestings neer, ons verbreek planne, verbreek skanse; hoe? deur elke gedagte gevange te neem en te onderwerp tot gehoorsaamheid aan God en sy woord. Ons hoef nie eens met die duiwel te praat nie. Ons kan maar net die woord van God leer en dit in ons lewens toepas. Ons hoef net met God te praat en ons praat met ons medegelowiges. Ek twyfel of dit enige waarde het in die geesteswêreld. Ons stryd is ‘n geloof stryd en dit vind binne in ons plaas. Dit beteken net een ding: Ons moet die leuens wat op ons af gebombardeer word vervang met die woord van God. Daarom moet ons elke gedagte gevange neem. Ons moet dit “arresteer” en uit ons gemoed uitwerp en vervang met die waaragtige en korrekte woord van God. Wanneer daar al so baie leuens in ‘n persoon se gemoed en in sy siel opgebou is dat dit al skanse en vestings geword het, dan sal so ‘n persoon hom móét bekeer van sy onkunde en roekelose hantering van die woord van God. Hy sal die leuens met waarheid móét vervang. Dit is hoe ons skanse en vestings verbreek. Ons kan God bid dat Hy in so ‘n persoon se hart werk om die waarheid deel van sy lewe te maak. Hy sal die leuens met waarheid moet vervang. Dit word nie met die swaai van ‘n “towerstaf” in ‘n wolkie opgeneem en vernietig deur ander Christene nie. Nee, jy moet jouself vergewis wat die woord van God is en dit in jou hartkamers vasmessel. Jy moet die leuens uit jou hart uit kry. Die duiwel is daarop uit om ons hele wese te vergiftig met leuens. Dit is hierdie leuens wat uiteindelik vestings in ons lewens word. Dit word vestings wanneer ons op hierdie leuens mediteer en dit vertroetel. Sodra ons dit deel van ons maak dan begin dit tot stand bring dit wat dit promoveer en dit waarvoor dit staan. Die hele proses begin by negatiewe gedagtes. Die gedagtes word in ons siel area en in ons breine opgeneem en gevestig. Ons begin dit glo en dit word deel van ons. Sodra dit deel van ons is begin ons dit uitspreek en dan bring dit tot stand dit wat ons glo en dit wat ons uitspreek. Every time you have a thought, it is actively changing your brain and your body – for better or for worse. There are twelve areas of toxic thoughts – a disruptive crew I call the “Dirty Dozen” – which can be as harmful as poison in our minds and in our bodies. Toxic thoughts don’t just creep into our minds as a result of abuse or an especially horrific trauma. Toxic thoughts affect people in all stages of life, in every area part of the world, every day. Even something as small as a minor irritation can become toxic, and these thoughts need to be swept away. Gedagtes is die hoof dryfkrag wat elke aspek van ons lewens en ons fisiese wêreld beheer. Ons het almal volle beheer oor ons gedagtes. Dit is ons wat bepaal wat ons dink. Gedagtes veroorsaak spanning of ‘n gevoel van tevredenheid. Spanning is direk verantwoordelik vir omtrent alle ernstige fisiese en geestelike siektes. Omdat negatiewe gedagtes spanning veroorsaak, wat die meerderheid siektes veroorsaak, is negatiewe gedagtes die hoof oorsaak van siektes. Dit maak negatiewe gedagtes giftig vir die mens. Wanneer ons negatiewe gedagtes met die woord van God vervang, voorkom ons menige siektes en ellende in ons lewens. Dit voel vir ons baie keer dat ons werklik in ‘n geestelike oorlogvoering betrokke is. Hoekom? Want ons sien dinge met ons gebeur en ons voel dat die duiwel daardie negatiewe goed in plek gesit het. Ons ervaar hierdie goed partykeer baie negatief en dit is vir ons partykeer baie moeilik in hierdie omstandighede. Mense begin depressief word en party oorweeg selfs selfmoord. Baie min mense besef egter dat hierdie negatiewe goed eintlik met ons gebeur deur ons eie toedoen. Dit is onsself wat hierdie goed veroorsaak. Nie die duiwel nie. Hy moet ook die skuld vir alles kry en dit is ook ‘n leuen uit die hel uit. Hy hou daarvan om van alles beskuldig te word want dit maak hom groot en sterk en dit hou mense in onkunde. Daarom sê die woord van God in Kol 3:10 dat ons vernuwe moet word tot kennis na die beeld van ons Skepper deur ons met die nuwe mens te beklee. Ef 4:23 sê dat ons vernuwe moet word in die gees van ons gemoed. Ons is dus glad nie “duiwel bewus” nie. Ons ignoreer die bose magte altyd asof hulle nie bestaan nie. Ons behoort net besig te wees met God en sy woord. Ons is net God bewus in alle omstandighede. Dit is gewoonlik die bose magte wat na aksie oorgaan deur leuens op jou fisiese brein af te skiet. Dan reageer jy oombliklik deur hierdie gedagtes gevange te neem en te onderwerp aan die woord van God. Jy troetel nie hierdie gedagtes nie. Nee, jy onderwerp dit aan die woord van God deur dit onmiddelik te vervang met die waarheid. Op hierdie manier het jy die stryd oombliklik gewen en moet die duiwel die aftog blaas. Wanneer ons duiwels uit mense uit dryf. Wanneer ons bose geeste wat in mense se lewens besig met allerhande aktiwiteite beveel om dit te staak. Wanneer bose geeste op jou grond of perseel aktief raak of manifesteer. Direkte interaksie met die bose is dus so selde dat ons dit amper nie hoef te noem nie. Ons moet nooit duiwel bewus wees nie. Ons moet nooit in ‘n geestelike oorlogvoering met die bose betrokke raak nie. Hou jou besig met God en hou jou besig met die woord van God. Onderwerp jou aan God, weerstaan die duiwel en hy sal van jou af wegvlug. Wanneer die duiwel sy pyle van leuens op jou brein afskiet dan weer jy dit af met die waarheid, die woord van God. Dit is hoe ons die duiwel weerstaan. Deur nie sy leuens te glo nie. Ons gaan staan nie soos ‘n wafferse Springbok stut in ‘n skrum posisie en probeer die duiwel so weerstaan nie. Nee, ons bly die waarheid glo en ons weier om leuens in ons gedagtes te vertroetel. Dit is hoe ons die duiwel weerstaan. 75% to 95% of the illnesses that plague us today are a direct result of our thought life. What we think about affects us physically and emotionally. It’s an epidemic of toxic emotions. How do you go about doing that? By “looking” at your mental processes. That may sound like a strange, if not impossible thing to do. After all, it’s not as if you can just crack open your skull like an egg and have a look at what is going on inside your brain. How many “could-have”, “would-have”, “should-have” statements have you made today? How many “if onlys” were part of your inner vocabulary today? How many times have you replayed in your head a conversation or situation that pained you, or one that hasn’t even occurred yet? How distorted is your thinking? Are you forming a personal identity around for example, a disease? Do you speak about “my arthritis”, “my multiple sclerosis”, “my heart problem”? Ons móét eenvoudig net beheer neem oor ons gedagtes, en dit aan die woord van God onderwerp, as ons enigsins in oorwinning wil lewe. Daar is geen ander uitweg vir die mens nie. KAN DIE MENS VERVLOEK WORD? Om terug te keer tot die uitspreek van vloeke of seëninge; dink ‘n bietjie mooi hieroor: God seën iemand, enigiemand anders kom en hy vervloek daardie selfde persoon; wat gaan in daardie persoon se lewe tot ‘n werklikheid kom? Wat gaan daardie persoon in sy lewe ervaar en ondervind? As daardie persoon die vloek in sy lewe ervaar dan is die woorde van daardie mense of daardie demone wat die vloek oor hom uitgespreek het sterker as die woord van God. Ék weet wie het met woorde die hele skepping tot stand geroep; dit was die woorde wat uit die mond van God gegaan het. Wie kan vandag daardie skeppings woorde omdraai deur die skepping weer te laat terugkeer tot niks nie. Gaan haal hom vir my. Ek daag jou uit! Daar is niemand soos God nie. Geen wese kan met Hom vergelyk word nie. Hy is so ver verhewe bo alles en almal dat ‘n mens nie eens ‘n vergelyking van enige aard kan tref of selfs oorweeg nie. Hoe sal ek vloek wie Gód nie vloek nie? En hoe sal ek verwens vir wie die Here nie verwens nie? Hier sien ons baie duidelik in die boek Numeri dat dit onmoontlik is om iemand te vloek of te verwens wat God geseën het. Bíleam, wat hier aan die woord is, wou dit baie graag doen want hy sou ryklik deur koning Balak beloon word as hy dit doen. Bíleam moes dood eenvoudig die volk Israel vervloek, sy beloning gaan haal en huistoe gaan. So maklik soos dit. Hy het dan ook verskeie keer probeer om dit te doen. Hy kon dit egter nie doen nie want dit sou teenstrydig met die woord van God wees. Dit is hoekom Bíleam uit frustrasie en heeltemal raadop vir koning Balak twee dinge sê: Kyk mooi na die versie; Hy vra hoe? want hy weet dat dit onmoontlik is; en hy beklemtoon die woordjie God met die klemteken op die “o” in die woordjie “Gód” . Dit is hoe die Bybel geskryf is. Daardie klemteken is op die “o” gesit want Bíleam het dit so beklemtoon toe hy gepraat het. Bíleam vra/sê: As “Gód” iemand seën, “hoe?” kan ék hom vloek? Hoe kan ek iemand verwens wie die Here nie verwens nie? Al spreek iemand ‘n vloek oor jou uit het dit geen krag nie. Jy kan maar rustig slaap. Jy het nie nodig om vloeke te breek nie. Daar bestaan nie vloeke in jou lewe nie. Hoe kan jy iets breek wat nie bestaan nie. Klink vir my soos ‘n mors van tyd en die aksies van onkundige mense. Israel was heeltemal onbewus van hierdie voorval wat in Num 23 beskryf word. ‘n Heidense koning wou hulle vernietig en het ‘n profeet gekry om ‘n vloek oor hulle uit te spreek sodat hulle ten gronde moet gaan. Tog was Israel die heeltyd veilig toegedraai in ‘n kokon van God se beskerming. Enige woorde van verwensing teen jou gespreek deur enigiemand lê betekenisloos op die grond. So vir ‘n “kwart” sekonde dan keer dit terug hel toe waar dit gebore is. Dit is dooie woorde wat letterlik geen waarde het nie. Dit is nie soos die woorde van God wat gees en lewe is nie. Dood en lewe is in die mag van die tong; en elkeen wat dit graag gebruik, sal die vrug daarvan eet. Sonder geloof is dit onmoontlik om God te behaag. Die mens ontvang presies dit wat hy glo. Dit wat die mens vrees, dit kom oor hom. Dit wat ons spreek is eintlik presies dit wat ons glo. Daar is ‘n geestelike beginsel wat ons reeds bespreek het wat ek hier wil herhaal: Dit maak nie saak wat ander mense van of oor ons sê nie. Alles hang af van wat onsself glo en oor onsself uitspreek. Die enigste strategieë wat die duiwel teen ons gebruik is juis om hierdie beginsel in elke mens se lewe toe te pas. Die duiwel het basies net een strategieë wat Hy mag gebruik. God laat hom nie toe om te doen wat hy wil nie. Toe Jesus Christus oor hom getriomfeer het en hom uitgeklee het, het Hy hom van alle mag, krag en outoriteit gestroop. Die enigste wapen wat die duiwel en sy bose magte teen die mens kan gebruik, is om die mens met leuens te bedrieg, te oortuig en te manipuleer. Hy gebruik leuens in jou lewe om jou geloof af te takel om jou sodoende te beïnvloed. Hoe meer leuens ons glo hoe meer kan hy ons manipuleer. Hoe meer leuens ons glo hoe meer beheer kry hy oor ons aksies en ons spraak. Elke mens het ‘n Godgegewe mag wat die bose absoluut begeer: Skeppingskrag! Daardie skeppingskrag funksioneer deur ons monde of ons tonge omdat ons na die beeld van God geskape is. Ons kan letterlik dood of lewe of voorspoed of teenspoed oor onsself uitspreek. Dit bly die duiwel se enigste wapen; om jou so ver te kry om negatiewe woorde oor jouself uit te spreek, want dit is net op hierdie faset van kinders van God se lewens waar hy sukses kan behaal. Onthou Jesus het hom ontwapen. Wat beteken hierdie stelling? Dit beteken die duiwel het geen mag of krag oor jou nie. Die enigste manier vir sukses vir Hom is om jou te verlei om te sê wat hy graag wil hê jy moet sê. Hy probeer jou ook verlei om te doen wat hy wil hê jy moet doen. Die mag is in jou hande. Jy kan op sy verleiding reageer of dit teëstaan. Behalwe vir leuens in jou eie lewe, kry die duiwel ook deur middel van leuens beheer oor ander mense se lewens. Hy gebruik dan hierdie mense om jou mee te beïnvloed. Hulle word instrumente in sy hande om jou verder te bedrieg, jou te manipuleer, jou te vervolg en jou lewe vir jou moeilik te maak. Wat sal ons dan van hierdie dinge sê? As God vir ons is, wie kan teen ons wees? Maar in al hierdie dinge is ons meer as oorwinnaars deur Hom wat ons liefgehad het. en die wat Hy vantevore verordineer het, dié het Hy ook geroep; en die wat Hy geroep het, dié het Hy ook geregverdig; en die wat Hy geregverdig het, dié het Hy ook verheerlik. HET DIE HERE ONS WERKLIK GESEËN? Want almal wat uit die werke van die wet is, is onder die vloek; want daar staan geskrywe: Vervloek is elkeen wat nie bly in alles wat geskryf is in die boek van die wet om dit te doen nie. 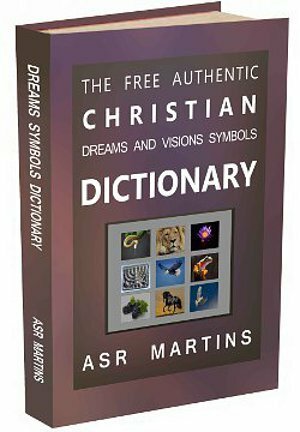 Christus het ons losgekoop van die vloek van die wet deur vir ons ’n vloek te word — want daar is geskrywe: Vervloek is elkeen wat aan ’n hout hang — sodat die seën van Abraham na die heidene kan kom in Christus Jesus, en dat ons die belofte van die Gees deur die geloof kan ontvang. Hier sien ons baie duidelik dat Christus ‘n vloek geword het sodat ons die seëninge van Abraham kan ontvang en kan geniet. Ons sien ook dat as ons nie vir Christus Jesus gehad het nie, dan sou ons noodwendig genoodsaak gewees het om die wet te onderhou om die ewige straf van God vry te spring. Ons sou dit egter nie kon regkry nie en daarom sou ons vervloek gewees het. Ons almal spring in elk geval iewers in ons lewens weg met die wet sonder dat ons dit eers weet. Niemand wil gered word nie. Almal probeer eers self. Ons probeer God behaag deur ‘n goeie en ‘n mooi lewe te lei en net daar faal ons. Hoekom? Want net soos die Jode faal ons almal liederlik in ons pogings van eie geregtigheid. 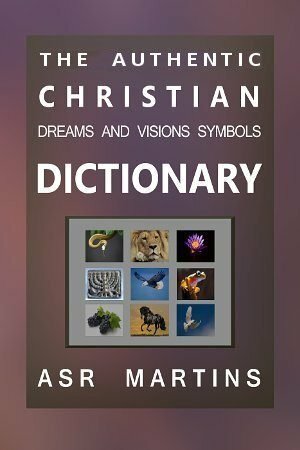 Hoekom moes Christus ‘n vloek word? Hy moes dit word om alle “legal grounds” vir vloeke te verwyder. Na die sondeval het God die aarde vervloek. Hierdie vervloeking is die straf van God. God het vir Christus Jesus in ons plek vervloek en die straf het dus op Hom neergekom. Deur dit op Hom te neem het Hy daarvoor betaal. Daar bestaan dus geen “wettige gronde” vir enigiemand om ‘n vloek oor ons te kan uitspreek nie. Dit het geen fondasie waarop dit kan staan nie. Daarom is daar vir ons geen straf nie. Die duiwel probeer ook altyd God namaak. Hy het ook sy woorde wat hy uitspreek. Hierdie woorde is alles óf leuens of net dooie woorde sonder krag. Daarom gaan staan satanaanbidders en selfs demoniese magte verniet op hoogtes en sulke plekke om vloeke oor mense uit te spreek. Dit is in werklikheid net ‘n “show of force”. Hulle doen dit om onkundige mense en kinders van God op ‘n knop te jaag en ook om paniek te saai. Hulle kan nie eens vloeke oor ongeredde mense uitspreek nie. Hoekom nie? Want daardie woorde het geen skeppingskrag nie. Jesus Christus het reeds ook vir ongeredde mense op die kruis ‘n vloek geword. Dit behaag die Here om my huis te seën, sodat dit vir ewig voor sy aangesig kan wees; want Hy het dit gespreek, en deur sy seën sal my huis vir ewig geseënd wees. Kyk, ek hou julle vandag seën en vloek voor — die seën as julle luister na die gebooie van die Here julle God wat ek julle vandag beveel; en die vloek as julle nie luister na die gebooie van die Here julle God nie, maar afwyk van die weg wat ek julle vandag beveel, om agter ander gode aan te loop wat julle nie geken het nie. 13 En hierdie moet staan om te vervloek op die berg Ebal: Ruben, Gad en Aser en Sébulon, Dan en Náftali. 15 Vervloek is die man wat ’n gesnede of gegote beeld maak, ’n gruwel vir die Here, werk van ’n ambagsman se hande, en dit in die geheim opstel; en die hele volk moet antwoord en sê: Amen. 16 Vervloek is hy wat sy vader of sy moeder verag; en die hele volk moet sê: Amen. 17 Vervloek is hy wat sy naaste se grenslyn verlê; en die hele volk moet sê: Amen. 18 Vervloek is hy wat ’n blinde op die dwaalweg lei; en die hele volk moet sê: Amen. 19 Vervloek is hy wat die reg van vreemdeling, wees en weduwee verdraai; en die hele volk moet sê: Amen. 20 Vervloek is hy wat met die vrou van sy vader gemeenskap het, want hy het die kombers van sy vader opgelig; en die hele volk moet sê: Amen. 21 Vervloek is hy wat met enige dier gemeenskap het; en die hele volk moet sê: Amen. 22 Vervloek is hy wat met sy suster, die dogter van sy vader of die dogter van sy moeder, gemeenskap het; en die hele volk moet sê: Amen. 23 Vervloek is hy wat met sy skoonmoeder gemeenskap het; en die hele volk moet sê: Amen. 24 Vervloek is hy wat sy naaste in die geheim doodslaan; en die hele volk moet sê: Amen. 25 Vervloek is hy wat ’n omkoopgeskenk aanneem om ’n persoon — onskuldige bloed — dood te slaan; en die hele volk moet sê: Amen. 26 Vervloek is hy wat die woorde van hierdie wet nie hou om dit te doen nie; en die hele volk moet sê: Amen. Vloeke kom dus van God af. As gevolg van sonde het God die aarde vervloek. Hierdie vervloeking is eintlik die straf van God. Hierdie vloek sal uiteindelik alle ongeredde mense met hulle afsterwe tref die oomblik wanneer hulle sterf sonder Jesus Christus. Vloeke kan egter deur niemand anders oor ander uitgespreek word nie. Inteendeel, net God kan mense seën en net God kan mense vervloek. Net Hy het daardie mag en krag in sy woorde om ander te seën of te vervloek. Ons het dieselfde mag en krag ook van Hom af ontvang toe ons Hom aangeneem het maar kan dit net in ons eie lewens of net met betrekking tot onsself toepas. Christene kan hierdie skeppingskrag positief aanwend wanneer dit in geloof gedoen word maar hulle kan dit ook negatief toepas deur negatiewe goed uit te spreek. Geen mens of bose wese kan ander mense straf nie. Net God kan straf. Daarom kan geen mens of bose wese vloeke uitspreek nie want vloeke is die straf van God. Almal het teen God gesondig en die straf kom Hom toe. Die duiwel en ander mense spreek verniet straf uit oor ander mense want dit het geen bestaansreg of inherente krag nie. Hierdie leerstelling is op ‘n leuen gegrond. Die duiwel en ander mense kan ook nie ons skeppingskrag “overide” nie omdat hulle nie soos God daardie mag in hulleself het nie. Hulle poog dus in werklikheid maar net om ons so ver te kry om met hulle stellings saam te stem sodat daardie woorde deur “ons” skeppingskrag kan ontvang. Daarom moet ons nooit saamstem met negatiewe rapporte of stellings nie. Natuurlik val die familie (gesin) onder die gesag en geestelike beskermings “sambreel” van die vader en ook die moeder. Ons kan en moet ons kinders seën. Ons kan egter nie ander mense vervloek nie en wanneer ons ander mense seën doen ons dit hardop sodat hulle dit kan beaam. Deur dit met ‘n “amen” te beaam word daardie seën kragtig in hulle lewens omdat hulle die seën dan ook oor hulleself uitgespreek het. Kinders van die Here word op verskeie plekke in die Bybel aangemoedig om mekaar te seën. Dit is baie belangrik. Hoekom moet ons mekaar seën? Wanneer jy as kind van God ‘n seën oor ander kinders van God uitspreek, dan spreek jy die woord oor hulle uit. Hulle stem daarmee saam en wanneer die woord van God in eenheid deur twee of drie oor saamgestem word dan sal daardie woord kragtig tot uitvoering kom. Ek is egter oortuig daarvan dat mense sulke seën uitsprake kragteloos kan maak as hulle nie saamstem daarmee nie. Eerstens sien ons dat die engele van die Here kragtige helde is. Tweedens sien ons dat hulle die woord van God volbring. Derdens sien ons dat hulle gehoorsaam is aan die stem wat sy woord spreek. Let op dat dit ‘n klein lettertjie stem is. Dit is mense wat die woord van God spreek. Dit maak nie saak wie die woord spreek nie solank dit ‘n kind van God is en solank dit die woord van God is. Wanneer ons negatief oor onsself praat of die leuens van die duiwel oor onsself uitspreek dan volbring die bose daardie woorde. Nou is dit gevalle engele wat oorgaan tot aksie. Daardie negatiewe woorde gee hulle toestemming om dit wat ons gespreek het tot stand te bring. Ons kan dit egter nie met ander mense doen nie. Ons kan die bose nie toestemming of wettige gronde gee om in ander mense se lewens te werk nie. As iemand negatiewe goed oor homself uitspreek kan ons positiewe goed oor hom uitspreek tot ons blou is, die negatiewe goed wat hy uitgespreek het sal die wettige gronde vir bestaansreg van daardie woorde verseker. As hy positiewe woorde of die woord van God oor homself uitspreek kan ons negatiewe woorde oor hom uitspreek tot ons blou is. Dit sal nie en kan nie tot stand gebring word nie. Die duiwel was ‘n meester daarin om die Israeliete by God te gaan verklae as hulle God se wette oortree het. Hulle oortredinge het hom wettige gronde gegee om dit te doen. Enigiets in hierdie lewe moet wettige gronde vir bestaansreg hê voor die duiwel dit kan gebruik. Vandag kan die duiwel ons nie meer by God gaan verkla nie. Niemand kan ons oordeel nie want in Christus is ons heilig en rein net soos Hy. Romeine 8:1 is baie duidelik hieroor. Daarom bly ons bloed gewaste kinders van God al faal ons. Ons benadeel onsself egter wanneer ons God se koninkryk beginsels verontagsaam of negatiewe woorde oor onsself uitspreek. God kan ons dan nie beskerm nie want ons het die duiwel gemagtig om dit wat ons uitgespreek het uit te voer. As God sy arm van beskerming sou uitsteek in so ‘n geval sal die duiwel doodeenvoudig net vir Hom sê: “Jy het nie die reg om hom of haar in hierdie situasie te beskerm nie. Jy het met jou eie ore gehoor wat hy of sy gesê het. Ek het wettige gronde om dit wat hy of sy gesê het uit te voer”. Moenie dwaal nie; God laat Hom nie bespot nie; want net wat die mens saai, dit sal hy ook maai. Hy wat in sy vlees saai, sal uit die vlees verderf maai; maar hy wat in die Gees saai, sal uit die Gees die ewige lewe maai. Hierdie Skrifgedeelte is nie net op ongeredde mense van toepassing nie. Dit is ook van toepassing op kinders van God wat na die vlees wandel. Ons almal saai in die vlees én in die Gees. Dit is gevaarlik om in die vlees te saai want wat ons hier op aarde fouteer sal vir ons aardse skade bring. Hoewel ons saligheid verseker is gaan ons hier op aarde probleme ervaar omdat ons in die vlees saai. Die duiwel maak op hierdie foute staat om ons te benadeel. Hy wil baie graag steel, slag en verwoes. Hy kan nie vloeke gebruik nie want Christus het vir ons op die kruis ‘n vloek geword. Hy het die prys betaal daarvoor. Hy kan nie op sy eie woorde staatmaak nie want dit het geen krag nie. Nou hoe behaal die duiwel dan sukses in mense se lewens? Hy doen dit deur van elke mens (gered of ongered) toestemming te kry om in sy of haar lewe te mag funksioneer. Ons dink eerstens aan die sondeval. Toe die duiwel dit reggekry het om vir Adam en Eva so ver te kry om teen God te sondig het hy heerskappy oor die wêreld ontvang. Wat beteken dit? Dit beteken dat Adam en Eva eintlik hulleself aan die duiwel onderwerp het en sodoende die heerskappy aan hom gedelegeer het. Hulle het dit basies aan hom oorhandig. Dit het hom die heerser of die koning van die wêreld gemaak. Dit het hom wettige gronde gegee om daaroor te heers en dit te beheer. Hy het hierdie mag egter verloor toe Christus Jesus oor hom getriomfeer het. Deur as mens sondeloos te leef en deur sy offer aan God met sy eie liggaam as sondoffer vir die mensdom in te tree het Christus daardie outoriteit teruggevat en die heerskappy aan die mens teruggegee. Wanneer mense, selfs kinders van God, negatiewe woorde oor hulleself uitspreek, gee hulle die duiwel wettige gronde om dit wat hulle uitgespreek het in hulle lewens tot stand te bring. As jy, teenstrydig met die woord van God gedurig kla oor hoe siek jy is en hoe sleg jy voel, dan sal dit uiteindelik fisies so manifesteer want die duiwel het nou wettige gronde om daardie siektes op jou te lê. Dit is so eenvoudig soos dit. Dit gebeur nie sommer net onmiddelik nie. Dit is ‘n progressiewe proses van oorgawe. Jy gee met woorde van ongeloof stelselmatig jou gesondheid prys. Dit is die mag van die tong. Die tong gee aan die duiwel die reg om op te tree. Wanneer daardie oorgawe rypheid bereik dan manifesteer die siektetoestand in jou lewe. As daar nog steeds kinders van God is wat dink dat hierdie “woorde” of “tong” ding nie só ernstig is nie. Dat dit nie werklik so ernstig opgeneem moet word nie. Dan wil ek vir jou sê: Jy het dringend ‘n openbaring hieroor nodig want jy loop op dun ys. Jou lewe is eintlik letterlik in gevaar sonder dat jy dit besef. Dan dink kinders van God ook as hulle sommer maar net iets op die ingewing van die oomblik sê, dat dit nie só ‘n groot negatiewe effek op hulle sal hê nie. Die werklikheid is dat niks wat oor jou lippe rol sommer maar net gesê word nie. Jy sê dit eintlik omdat jy dit glo. Dit is eintlik in werklikheid presies wat jy verwag en daarom sê jy dit. Vir hierdie rede maak mense so sommer terloops vir die duiwel die deur oop om daardie negatiewe woorde ‘n werklikheid in hulle lewens te maak. Gelukkig kan ons sulke negatiewe uitlatings darem vroegtydig identifiseer en ‘n plan maak daarmee. Ons moet aanleer om versigtig met woorde te wees. Ons moet God bid om ‘n wag voor ons mond te plaas. Die “wag” is eintlik maar net gedissiplineerdheid. Ons moet God bid om ons getrou en gehoorsaam aan sy woord te maak. Ons kan nie sommer roekeloos negatiewe goed uitspreek nie. Die tong is ook ‘n vuur, die wêreld van ongeregtigheid. Net so ‘n plek neem die tong onder ons lede in; dit besmet die hele liggaam en steek die hele lewensloop aan die brand en word uit die hel aan die brand gesteek. In hierdie versie sien ons dat die tong ‘n vreeslike prominente plek onder die ledemate van die mens inneem. Vers 5 sê dat die tong daarin roem dat hy ‘n baie klein lid van die liggaam is maar tot baie groot dinge in staat is (Vers 5: Net so is die tong ‘n klein lid en beroem hom op groot dinge). Dit besmet die hele liggaam. Dit klink vir my na siekte, sonde en ellende. Dit steek die hele lewensloop aan die brand. Dit klink vir my die tong beïnvloed jou toekoms. Dan laastens, kyk ‘n bietjie waar word die tong aan die brand gesteek: Vanuit die hel. As die hel (duiwel) jou net sover kan kry om jou tong te gebruik om negatiewe woorde te gebruik, dan het dit ‘n baie groot effek op jou en jou lewe. Hoekom? Want jou tong het skeppingskrag; die mens is soos God. God het die hele skepping tot stand gespreek met sy tong! Woorde is die mees prominente krag in die heelal, en dit sal altyd, tot in ewigheid so wees. Dit is ‘n natuurlike eienskap van God en hulle wat na sy beeld geskep is. Ons is nog steeds by die redes hoekom die duiwel wettige gronde kry om in mense se lewens te werk. Wanneer mense die bloed van Christus verwerp en Hom nie aanneem as hulle Verlosser nie, dan dien hulle eintlik die duiwel. Dit gee die duiwel sekere mag en outoriteit oor hulle. Hy kan nie maak wat hy wil nie maar hy kan redelik baie skade in hulle lewens aanrig. Sulke mense lewe dan presies soos Adam en Eva geleef het. Vir hulle is dit asof Christus nooit oor die duiwel getriomfeer het nie. Maar nog steeds moet die duiwel vir alles toestemming kry van hierdie ongeredde mense af om in hulle lewens te funksioneer. Hy het nie vrye mag in hulle lewens nie. Hy moet toestemming kry vir elke ding wat hy in hulle lewens tot stand wil bring. Daar is tog ‘n mate van beskerming teen die bose selfs vir ongeredde mense. Hoekom? Omdat Jesus Christus ook hierdie mense vrygekoop het met sy bloed. Hulle behoort aan Hom en Hy het hulle net so lief soos wat Hy vir jou en my het. Hy gaan hulle definitief nie vir die wolwe gooi nie. Wanneer kinders van die Here hulle nie vergewis van die woord van God nie maar roekeloos en onkundig lewe sonder die beskerming van die woord, dan het die duiwel redelik outoriteit in hulle lewens. As kind van God moet jy heers in die koninkryk van God. As jy nie heers nie dan heers die duiwel. Tog moet die duiwel vir elke ding wat hy in so ‘n persoon se lewe wil doen, eers toestemming kry by so ‘n persoon. U sal onthou dat ek gesê het dat die duiwel nie eens ‘n ongeredde mens kan vervloek nie. Hy het geen krag in sy woorde om dit te doen nie. Die rede hiervoor is dat die duiwel totaal en al verslaan is. Hy is van al sy mag en outoriteit gestroop. Daar is net een manier hoe hy selfs in ‘n ongeredde mens sukses kan behaal. Hy moet selfs ‘n ongeredde mens so ver kry om negatiewe dinge oor homself uit te spreek voor dit ‘n werklikheid kan word. Daarom kan jy sien dat baie ongeredde mense beter en suksesvoller lewens lei as party Christene. Die duiwel sukkel meer met hom as met sekere Christene. Veral Christene wat nie die woord van God ken nie en dit nie deel van sy lewe maak nie. Dan sal jy vir my sê dat daar tog mense is wat verskriklik erg onder duiwelse magte deurloop. Hulle toor mekaar en daar manifesteer die verskriklikste boosheid en dinge in hulle lewens. Hierdie is natuurlik ‘n heeltemal ander saak. Hierdie is mense wat nie in die koninkryk van God is nie. Hulle is ook nie op “neutrale grond” soos ongeredde mense nie. Hierdie mense is mense wat deur middel van ‘n wilsbesluit aktief deel van die koninkryk van satan geword het. Van hulle is satanaanbidders en hulle dien en aanbid satan soos ek en jy ons God dien. Hulle volg hom met ‘n passie en hulle onderwerp hulle aan sy gesag. Hulle het alles opgegee vir hom en hulle doen alles wat hy sê. Hierdie mense is vreeslik erg blootgestel aan manipulasie en het nie veel beskerming teen die duiwel nie. Hy is in hierdie omstandighede nou nie meer gebind deur allerhande geestelike beperkings nie. Hy kan selfs dinge teen dié mense se sin doen omdat hulle hom die reg gegee het om dinge te doen wat hulle in werklikheid nie wil hê nie. Hy het amper wettige gronde om met hulle te doen wat hy wil. Sulke mense kan selfs mekaar toor en in mekaar se lewens allerhande duiwelse aktiwiteite laat manifesteer. Hulle kan dit egter nie met ander ongeredde mense of met Christene doen nie. Die bose magte en selfs hierdie bose mense het nie wettige gronde om dit in ander ongeredde mense en in Christene se lewens te doen nie. Hoekom nie? Want hierdie ongeredde mense en Christene het nie die duiwel of hierdie mense wettige gronde gegee om sulke manifestasies in hulle lewens uit te voer nie. Die duiwel het nie hulle toestemming om dit te doen nie. Wanneer daar enige duiwelse manifestasies van enige aard in ‘n kind van God of in ongeredde mense se lewe plaasvind, dan is dit bloot so omdat sulke mense outoriteit aan die duiwel gegee het om dit te doen. Ongeredde mense en Christene kan nie getoor word nie behalwe as hulle met mond en met aksies toestemming verleen aan hierdie bose magte om dit te doen. Dit gebeur redelik baie in ons swart gemeenskap as gevolg van hulle tradisionele voorvader geeste aanbidding en rituele. Dit maak deure oop vir hierdie tipe manifestasies. Kan demone mense teen hulle sin beset? Demone kan nie mense beset soos hulle wil nie. Dit sluit Christene en ongeredde mense in. Demone kan net mense beset wat die “deur” vir hulle oopgemaak het deur sondige aktiwiteite. As dit ongeredde mense is kan hulle so verknog aan byvoorbeeld pornografie raak dat dit naderhand ‘n obsessie word. Die persoon gee hom al meer en meer oor aan hierdie demoon van wellus dat hy naderhand so bedwelmd raak dat hy nie meer daarsonder wil leef nie. Hy gee naderhand alle weerstand op en nooi hierdie demoon onwetend in om hom te beset. Hierdie is egter ‘n proses van oorgawe. Die demoon begin in die persoon se gedagtes met verleidelike woorde, later beheer hy die gedagtes totaal en al met wellustige versoekinge. Dan probeer hy die persoon se siel en gees beset deur middel van ‘n siel en gees oorgawe. Mettertyd kry hy die deur oop en beset die persoon. So ‘n persoon is nie net demonies onderdruk of oorheers nie maar demonies beset. Met Christene vind alles op dieselfde manier plaas maar die demoon kan nie die persoon beset nie. Die gees van God is in die gees van die geredde mens en daarom is dit onmoontlik vir ‘n demoon om ‘n Christen te beset. Die Heilige Gees en ‘n demoon kan nie terselfdertyd in een gees wees nie. Dit is onmoontlik. Christene kan wel deur demone onderdruk en oorheers word. Die demone kan in hulle liggame wees en in hulle siele wees. So ‘n Christen moet ook bevry word en die duiwels of demone moet uit hulle liggame of uit hulle siele uitgedryf of weggeneem word. Amper net soos met ‘n ongeredde mens wat beset is. Baie Christene is siek omdat demone in hulle liggame aan organe “hang” of “kleef” met die doel om dit siek te maak of te beskadig. So ‘n siekte is nie ‘n normale siekte nie maar ‘n demonies veroorsaakte siekte. In sulke gevalle moet die demoon uitgedryf word om genesing te verseker. Hoekom kan ‘n demoon nie sommer net ‘n persoon beset nie? Want hy moet “wettige gronde” hê om dit te kan doen. Hy moet toestemming hê. En hierdie toestemming is nie sommer net ‘n vinnige mondelingse toestemming nie. Daar is toestemming gegee in ‘n “proses” van oorgawe. Daarom hoef ons nooit te vrees dat ‘n demoon ons skielik kan beset nie. Dit kan nie gebeur nie. Nie eens met ‘n ongeredde mens nie. God beskerm die mensdom deur middel van sy koninkryk beginsels. Daar is geestelike wette in plek wat al hierdie goed bepaal en wat sy skepping beheer. Dit is Gód se wette en dit is een honderd persent “foolproof”. Van die eerste dag af wat God die skepping gemaak het tot vandag toe was daar nie een enkele voorval waar God se geestelike wette nie 100% suksesvol is nie. Ek herhaal: “God se geestelike wette is 100% peutervry”. Dit kán nie misluk nie. Dit kán nie onsuksesvol wees nie. Hoekom nie? Omdat hierdie wette soos die wet van swaartekrag is. As jy tien keer of as jy ‘n triljoen keer ‘n klip van ‘n gebou af gooi sal dit nie een enkele keer opstyg nie. Dit sal eers al tien keer en dan al triljoen keer grond toe val. Daarom het ‘n demoon van die eerste dag van die skepping tot vandag toe nog nooit ‘n persoon beset behalwe wanneer hy wettiglik gemagtig was om dit te doen nie. Ek het ook ondervind dat kinders van God baie agterdogtig is oor handoplegging met betrekking tot gees oordraging en die tipe van ding. Ek het eenkeer ‘n baie bekende genesingsprediker besoek want ek wou dat hy my die hande oplê vir genesing. ‘n Week of twee later het ek aan iemand getuig dat ek by die betrokke persoon was en dat hy sy hande op my gelê het vir genesing. Die persoon was onmiddelik skepties. Toe ek hom vra wat hom pla toe sê hy dat hy iemand ken wat ook by die persoon was vir handoplegging. Die betrokke persoon het ‘n paar weke daarna kanker gekry. Ek het geweet wat my vriend suggereer. Ek kon nie my ore glo nie. Hoe op dees aarde kan jy siek word as jy gaan vir genesing? Dit is met een woord absoluut “onmoontlik”. Hoekom? Want ‘n vloek (siekte is ‘n vloek : Sien Deuteronomium) kan op geen manier op jou oorgedra word nie. Nie deur die uitspraak van mense of demoniese magte nie en nie deur handoplegging nie. Ook kan geen gees oordraging op kinders van God plaasvind tydens handoplegging nie. Daar is geen wettige gronde daarvoor nie. Sulke goed kan net met jou toestemming op jou oorgedra word en dit vind nie tydens handoplegging plaas nie. Dit vind plaas wanneer jy met woorde en met oorgawe as gevolg van ongeloof en onkunde toestemming gee aan die duiwel om hierdie goed in jou lewe tot stand te bring. Hierdie gedeelte is nie van toepassing op satanisme en mense wat in die koninkryk van satan is nie. Daar geld waarskynlik ander wette. Ek weet dat mense in die koninkryk van duisternis baie blootgestel is. Daar kan geeste waarskynlik wel met die handoplegging van een demoniese besete satanaanbidder op ‘n ander satanaanbidder geplaas word. In die koninkryk van God is egter absolute peutervrye beginsels en wette in plek wat nie net die kind van God beskerm nie maar ook God se ongeredde mense. Christus het hulle met sy bloed gekoop en hulle behoort aan Hom. Hoeveel kinders van God besoek in goeie trou mense wat in die gawe van genesing funksioneer. Hulle kies die Goddelike metode van genesing en is net gehoorsaam aan God. Die persoon wat sy hande op siekes lê is ‘n selfverklarende kind van God en ons aanvaar dit so. Ons hoef geen ondersoeke te doen om uit te vind of dit so is nie en hoe goed die man is nie. Ons het gehoor hy is baie suksesvol in hierdie area en ons laat hom toe om sy hande op ons te lê en vir ons te bid. Ons gee hom toestemming om vir ons te bid en dit is al. Ons gee hom nie toestemming om allerhande goed met ons te doen nie, nee, net om vir ons te bid vir genesing. Daar is geen Skrifgedeelte in die Bybel wat soiets bevestig nie. Mense, hierdie is ‘n leuen so uit die hel uit. Dit kan nie gebeur nie want volgens die geestelike beginsels en wette in God se koninkryk is dit nie moontlik nie. God beskerm sy kinders. Bose geeste beset mense as gevolg van sondige aktiwiteite in ‘n mens se lewe waaraan hy totaal oorgegee is. Geeste kan nie so oorgedra word nie soos ek reeds hierbo verduidelik het. Ook kan siekte nie so oorgedra word nie want daar moet toestemming deur die persoon self gegee word voor daar wettige gronde vir so iets bestaan. Geen “goggas” kan op jou oorgedra word sonder jou toestemming nie. As dit so sou kon oorgedra word sou dit beteken het dat God se kinders onskuldig blootgestel sou wees aan die bose. Dit sou beteken dat die bose inherente mag en krag sou gehad het om onskuldige mense te benadeel. Die duiwel sou ‘n fees gehad het. God sou dit nie kon toelaat nie want die duiwel is ‘n mense moordenaar. Daarom het God hom gestroop van alle mag, krag en outoriteit. Hierdie is Paulus aan die woord en hy “praat” met Timotheus. Hy sê vir hom dat hy nie sommer net haastig vir iemand die hande moet oplê nie. Hy sê nie dat hy sommer net haastig die hande opgelê moet word nie. Paulus is in hierdie brief besig om vir Timotheus ‘n paar wenke en aanbevelings te gee. Hy sê eintlik vir Timotheus om nie sommer net haastig vir iemand te bid nie. Hy moet eintlik wag vir Heilige Gees leiding. Om sommer net sonder Heilige Gees leiding vir iemand te bid is eintlik “vlees bediening” en nie “Gees bediening” nie. Baie keer wil “vleeslike” Christene voor gebid word maar eintlik wil hulle voortgaan met die genotvolle sondetjies wat hulle so geniet. Die handoplegging is eintlik ‘n bespotting. Ons moet sensitief vir die Heilige Gees wees. Die teenoorgestelde is ook waar. As ‘n kind van God hom deur ‘n persoon laat doop dan gee hy die betrokke persoon toestemming om hom te doop en dit is al. Daardie persoon kan nie tydens die doop allerhande goggas op jou laat kom nie. Dit maak nie saak wie hy is nie of wat hy glo nie. As hy ‘n selfverklarende kind van God is dan kwalifiseer hy om jou te doop. Jy hoef geen verdere navrae en ondersoeke te doen oor die betrokke persoon se lewe of geestelike toestand in Christus nie. Net soos so baie vals leringe soos bloedlyn vloeke en so baie ander dwaalleringe, het ook hierdie vals lering geen Bybelse gronde of Skriftuurlike fondasie nie. Tog glo kinders van God dit. Hoekom? Omdat hulle nie die woord van God ken nie. “Julle sal die waarheid ken en die waarheid sal julle vrymaak”. Baie boeke is al geskryf oor demoniese aktiwiteite en demoniese interaksie met die mens. 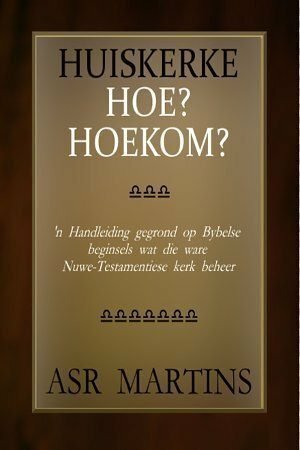 Hoewel die meeste skrywers van hierdie boeke probeer om die kind van God meer in te lig oor hierdie onderwerp rig hulle eintlik baie meer skade aan as goed. Baie van hulle skrywes en die stellings wat hulle maak het hulle persoonlike observasies as basis. Daarom kan dit nie aanvaar word as Skriftuurlik of as die waarheid nie. ‘n Mens kan nooit persoonlike observasies vertrou nie. Van hierdie skrywers was óf voorheen deel van die donker wêreld van satanisme, soos Mary Baxter, óf hulle is onkundige Christene wat nie ‘n Goddelike openbaring met betrekking tot hierdie onderwerp het nie. En Ek sê vir julle en die ander wat in Thiatíre is, almal wat hierdie leer nie het nie, en die wat die dieptes van die satan, soos hulle dit noem, nie leer ken het nie: Ek sal op julle geen ander las lê nie. In hierdie Skrifgedeelte kan ons duidelik sien dat God nie wil hê dat ons die dieptes van satan moet leer nie. Dit dien geen doel nie. Dit verwar ons. Dit gee satan “mag” en “krag” omdat ons die bose en verwronge beginsels van sy koninkryk, wat leuens en boosheid as fondasie het, op ons lewens van toepassing maak. Ons bring sy bose leerstellings ast’ware in die kerk in. In die proses verloor ons ons Goddelike onderskeidingsvermoë omdat ons ons met leuens en boosheid ophou. Die Skrif sê nie verniet nie dat ons net dit wat mooi en goed en loflik is moet bedink. Ons hoef nie die duiwel te ken om hom suksesvol teë te staan nie. Ons hoef net vir Jesus Christus en ons posisie in Christus te ken om die duiwel en sy magte suksesvol te weerstaan. Wat ons van die bose móét weet lees ons in die Bybel. Ons het nie ander boeke nodig daarvoor nie. Mary Baxter en ander skrywers se boeke is juis ‘n deeglike studie van die beginsels van die koninkryk van satan. Die waarheid is dat hierdie goed net in die koninkryk van die duisternis opereer. Dit is eintlik onderworpe aan die beginsels van die koninkryk van God. Mary Baxter erken self dat sy dikwels deur Gees vervulde kinders van God en vyfvoudige bedienaars daarop gewys word dat sy nie in ‘n oorwinnings posisie staan teenoor die bose nie. Haar ondervinding met die bose was te groot vir haar. Hierdie goed het ‘n groot indruk op haar gemaak en dit het haar oordeel beïnvloed. 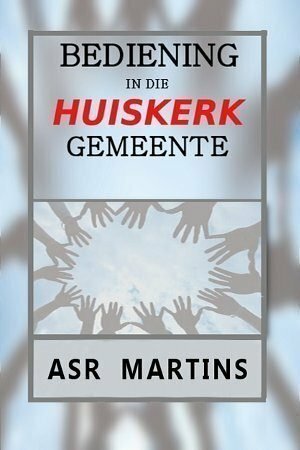 Sy en ander skrywers onderskei byvoorbeeld nie tussen verskillende groeperinge mense nie en daarom is die stellings wat hulle in hulle boeke maak foutief. Kinders van God het nie dieselfde blootstelling teenoor die bose soos sataniste nie. Sataniste is deel van die koninkryk van satan. Daar sal sekerlik demoniese manifestasies in hulle lewens wees. Hulle het God verwerp en die duiwel as vader gekies. Ongeredde mense is op neutrale grond. Hulle is deur Christus vrygekoop en behoort aan Hom. Hulle is nie soos satanaanbidders blootgestel aan demoniese manifestasies nie tensy hulle deur woord en daad toestemming gee daartoe. Christene het Jesus Christus as hulle Verlosser aanvaar en aangeneem en is veilig onder sy Goddelike beskerming. Ook hulle moet met woord en daad toestemming gee voordat demoniese manifestasies in hulle lewens kan plaasvind. Ons hoef geen demoniese aktiwiteite te vrees nie. In Christus het ons Goddelike beskerming en outoriteit oor die bose. Selfs ‘n pas bekeerde kind van God het outoriteit oor die duiwel en al sy boosheid. Hy sal miskien nog nie demone uit mense kan uitdryf nie maar hy hoef op geen manier aan demoniese aktiwiteite en manifestasies blootgestel te wees nie. Geen demoon of die duiwel homself kan ‘n pas bekeerde kind van God op enige manier lastig val nie. Die bose sal hard probeer om iewers in sy lewe met leuens of met vrees ‘n oop deur te kry. As hulle net toestemming van so ‘n pas bekeerde kind van God kan kry om op een of ander manier in sy lewe te manifesteer, sal hulle dit beslis doen. Ek wil net weer herhaal dat dit baie veiliger is om eerder die woord van God te bestudeer as om hierdie tipe boeke te lees. Hierdie gedeelte was nodig om die kind van God op hoogte te bring met die oorsprong van negatiewe gebeurtenisse en siektes in ons lewens. Dit is nie die gevolg van bloedlyn vloeke nie. Dit is ook nie die gevolg van straf nie. God straf jou nie. Dit is die gevolg van ons eie roekelose gebruik van die woord van God en ons uitsprake. Na aanleiding van bogenoemde gedeelte wil ek graag ‘n bietjie uitbrei oor die redes hoekom mense siek word. Waar kom siekte vandaan as God dan nie vandag meer straf nie? Ons weet dat God mense in die Ou Testament met siekte gestraf het. God het mense dus al voor hulle afsterwe gestraf. Hulle het siekte as straf as “voorlopers” gekry omdat die eintlike straf sou kom met hulle afsterwe. Dit was voor die genade tyd van diere offers vir Israel en ook voor die genade tyd van die verlossingswerk van Jesus Christus. Daar was nog nie sondes bedek onder die bloed van lammers nie en sonde moes gestraf word. Die bedekte sondes van die regverdige mense van Israel was uit genade ongestraf laat bly omdat Jesus Christus die straf daarvoor sou dra op Gólgota. In die tyd van barbarisme was dit nodig vir God om mense met siektes te straf. Onregverdige nasies en mense was wel gestraf. God moes mense uit die samelewing verwyder wat besig was om gruwelike dade te pleeg en mense soos diere behandel het. Die God van die Ou Testament het vir ons hard en ongenaakbaar voorgekom juis as gevolg hiervan. Hy was streng en dit het gelyk asof Hy nie genade met mense gehad het nie. Tog is dit nie die waarheid nie. Hy was dieselfde God as hierdie God van liefde en genade van die Nuwe Testament. Hy moes egter drasties optree om aanvaarbare leefwyses en morele standaarde in plek te kry anders sou dit die mensdom heeltemal verswelg het en sou kinders en vrouens aan die verskriklikste ongenaakbare verdrukking blootgestel gewees het. Dit was al klaar erg genoeg soos dit was. Alle siekte kom van die mens self af. Niks daarvan kom van God af nie en nie een daarvan kom “direk” van die duiwel af nie. Dit is alles ons eie toedoen. Die sondeval het alles veroorsaak. As dit nie Adam en Eva was nie sou dit ek en jy gewees het wat hierdie oordeel oor die mens gebring het. Die demoniese magte speel natuurlik ‘n rol hierin, net soos wat hulle met Adam en Eva ook ‘n rol gespeel het, maar die mens kan net homself vir siektes blameer. Siekte en ellende is ‘n natuurlike gevolg van sonde. Die meeste siekte kom deur ongesonde praktyke en aktiwiteite in mense se lewens. Hulle gebruik tabak, dwelms en drank en gee hulleself oor aan allerhande ongesonde genietinge. Party het verskriklike ongesonde eetgewoontes. Ander is roekeloos en haastig en raak in ongelukke en onwettige aktiwiteite betrokke. Die natuurlike gevolg van hierdie sondige aktiwiteite is siekte. Tabak, dwelms en drank verwoes mense se lewens. Nie net fisies nie maar op sielkundige, geestelike en sosiale vlakke is dit vernietigend. Baie siekte kom deur genetiese oorerwing. Onthou dat dit niks met sonde te doen het nie en ook niks met bloedlyn vloeke te doen het nie. Dit is die oorerwing van ‘n genetiese wanbalans in die gene. Dit is ‘n natuurlike kondisie. Dit is nie ‘n vloek nie en niemand word gestraf nie. Dit is ‘n genetiese wanbalans wat nie mee gedeel is nie. Die mens is ook hiervoor verantwoordelik. Een of ander sondige aktiwiteit in mense se lewens het die wanbalans veroorsaak. Sekere siektes kom van die nalatigheid van ouers af. Kinders val onder die fisiese beskerming van hulle ouers totdat hulle volwassenes is. Hulle is ook onder die geestelike gesag en beskerming van hulle ouers. Nalatige optrede aan die kant van ouers, fisies of geestelik, kan siekte toestande in kinders veroorsaak. Sondige aktiwiteite van ouers kan die kinders ook blootstel. Ook nalatige aktiwiteite van ouers kan kinders blootstel aan siektes en ander ellendes. Ouers het ‘n baie groot verantwoordelikheid teenoor kinders. Kinders is ‘n geskenk van God en ons as ouers is veronderstel om mooi na hulle te kyk. Ons moet ons prioriteite teenoor hulle regkry en verantwoordelik optree ten opsigte van hulle opvoeding en beskerming. Baie ouers laat hulle kinders toe om dinge te doen wat eintlik baie nalatig is. Hulle is roekeloos met hulle ten opsigte van beskerming en ontwikkeling teen die aanslae van die lewe. Ons weet dat klein kindertjies siek word en doodgemaak of verkrag word. Hulle is heeltemal onskuldig maar ervaar tog hierdie negatiewe aanslae op hul lewens. Wie moet die skuld hiervoor kry? Die ouers natuurlik. Ek sal hierdie stelling hier onder verder verduidelik. Vir ‘n kind van God kom siekte ook deur dit toe te laat om in jou te ontkiem en te groei in stede van dit deur middel van die woord van God teë te staan. Siekte moet weerstaan word deur die woord van God en deur geloof. Wanneer ‘n kind van God siektes in sy liggaam of in sy familie toelaat kan net hy daarvoor aanspreeklik gehou word. Hierdie stelling is nie onregverdig nie en kan beslis uit die woord van God verduidelik word. Ek behandel hierdie aspek intensief hier onder. Onvergewensgesindheid, haatdraendheid en verbittering kan ook veroorsaak dat siekte in jou liggaam ontkiem en groei. Dit is een van die geestelike wette van God. Ons kan nie daar verby kom nie. Dit vreet ‘n mens op soos kanker. Niemand kan daarvoor blameer word behalwe die mens self nie want dit is niks anders as sonde nie. Onthou, siekte is nie die straf vir sonde nie. Siekte is die natuurlike gevolg van sonde. Vir ongeredde mense kom siekte ook nog omdat hy nie die beskerming van God en ook die gebruik van die woord van God het nie. Hy het nie die wapenrusting van God aan nie en is dus blootgestel aan siektes. Hoe gouer jy Christus Jesus aanneem as jou Verlosser en Saligmaker hoe beter. Baie mense is al kinders van God nog voor hulle 10 jaar oud is en selfs jonger. Dink net hoe baie probleme word vir hulle uitgeskakel omdat hulle hierdie besluit so vroeg in hulle lewens geneem het. Ander wag tot hulle oud, siek en ellendig is voor hulle hierdie stap neem. Dink net watse situasies, siekte en ander probleme hulle deur die jare vir hulleself veroorsaak het deur Christus Jesus vir so lank te verwerp. Ek dink jy kan teen hierdie al insien dat siekte nie straf is nie. Dit is alles die gevolge van ons mense se nalatigheid, optredes en leefwyses. Die duiwel en sy demone speel ‘n rol in die sin dat hulle mense so ver probeer kry om al hierdie nalatige en roekelose dinge aan te vang. Hulle wíl jou siek hê en hulle sal alles in hulle vermoë doen om jou siek te kry. Hulle kan egter geen siekte op jou lê tot jy hulle toestemming gee nie. Die oomblik dat jy hierdie roekelose aktiwiteite deel van jou leefwyse maak en ook nog siekte oor jouself uitspreek dan het hulle die reg om siekte op jou te plaas. Kom siekte dus eintlik van sonde af? Indirek ja. Siekte is nie die straf vir sondes nie maar siekte is ‘n natuurlike gevolg van sondige aktiwiteite. As iemand vir 30 jaar lank ‘n strawwe roker is gaan hy in alle waarskynlikheid longkanker of een of ander long aandoening kry. Is dit straf as gevolg van sonde of is dit die natuurlike gevolg van ‘n sondige aktiwiteit. Dit is definitief ‘n natuurlike gevolg van sonde. Baie keer het Jesus vir iemand gesê om nie weer te sondig nadat Hy hulle genees het nie. Hoekom nie? Anders gaan hulle weer siek word of selfs iets ergers kan met hulle gebeur. As jy aanhou dwelms gebruik nadat God jou liggaam genees het gaan jy net weer siek word. Jy begin onmiddelik weer jou liggaam aftakel. As jy jou dronk drink en dan op jou motorfiets in die strate op en af jaag gaan jy in alle waarskynlikheid in ‘n ongeluk betrokke wees en jou ledemate verloor. Dit is nie straf nie. Sonde stel jou egter bloot aan siekte en aan gevaar. Dit is hoe dit is. Ons kan nie roekeloos lewe in God se koninkryk nie. Ons lees in Lukas 13 dat die duiwel ‘n sekere vrou vir agtien jaar lank gebind het met ‘n siekte. Sy was inmekaar getrek en kon daarom nie loop nie. Sy kon glad nie regop kom nie. Hierdie siekte is ‘n demonies veroorsaakte siekte. Sy was heel waarskynlik verbitterd of onvergewensgesind voor dit met haar gebeur het. Dit het die duiwel die reg gegee om haar te bind. Kom siekte van die duiwel af? Nee, dit kom van die mens af. Siekte is deel van die vloek wat God na die sondeval oor die aarde uitgespreek het. Siekte is egter ook ‘n natuurlike gevolg van ongeloof. Daarom kan ‘n onskuldige kind van God siek word wanneer hy woorde van ongeloof oor homself uitspreek. Ons behandel hierdie aspek baie deeglik in hierdie boek. Dit wat jy vrees kom oor jou want jy weerstaan dit nie in geloof nie. Ongeloof is sonde en daarom is selfs hierdie tipe siektes die natuurlike gevolg van sonde, die sonde van ongeloof. Adam en Eva se dade het siekte veroorsaak. Die duiwel sal baie graag mense siek wil maak en hy doen dit ook wanneer hy toestemming het om dit te doen. Siekte kom egter nie direk van hom af nie. Hy sou baie graag daardie mag wou gehad het om mense links en regs siek te kan maak want dan sou hy ‘n fees gehad het. God sal dit egter nooit toelaat nie. Nadat Christus Jesus oor hom getriomfeer het en hom van al sy mag en outoriteit gestroop het, het hy letterlik geen mag nie. Daarom dat hy net kan praat. Hy kan net verlei en leuens praat. 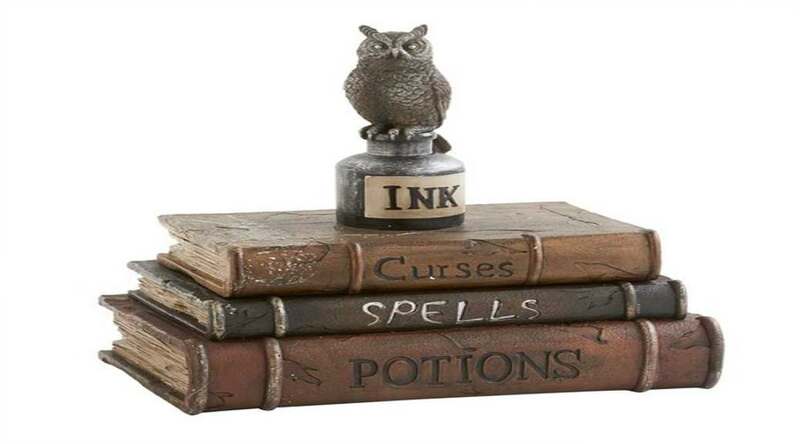 Dit is die ENIGSTE wapen wat hy het. As verslane vyand is hy heeltemal ontwapen. Hy loop hier op God se grond (Psalm 24:1 Die aarde behoort aan die Here en die volheid daarvan, die wêreld en die wat daarin woon) en hy sluip van een Gods mens na die ander Gods mens, gered of ongered. Christus het almal losgekoop met sy bloed. Almal behoort aan Hom. Hy lieg, hy steel, hy verwoes, hy konkel, hy hou raad, hy verneuk en hy bedrieg God se mense om sodoende ‘n deurbraak te probeer maak. Daar is geen ander manier vir Hom nie. Daar waar hy mense teëkom wat in outoriteit wandel en weet wat hulle in Christus is, daar maak hy homself vinnig uit die voete wanneer dit te warm begin word. Hy begin “brand” wanneer kinders van God in outoriteit optree. Hy is nie bang vir ons nie maar vir die Een binne IN ons. Sonder dat ons dit weet manifesteer die Een binne in ons wanneer ons met satan handel volgens sy woord. Daarom die Skrifgedeelte wat sê onderwerp jou aan God, weerstaan die duiwel en hy sál van julle af wegvlug. En vir die wat geglo het, sal hierdie tekens volg: In My Naam sal hulle duiwels uitdryf, met nuwe tale sal hulle spreek, slange sal hulle opneem; en as hulle iets dodeliks drink sal dit hulle geen kwaad doen nie; op siekes sal hulle die hande lê, en hulle sal gesond word. Ons kan net duiwels uitdryf as ons sterker as die duiwels is. Die Een IN ons is sterker as enige mag wat bestaan. Slange is ‘n simbool vir demone. Ons neem hulle weg uit situasies uit (In die oorspronklike Grieks is die woord daar eintlik “wegneem” en nie “opneem” nie). Dan sien ons dat iets wat ons eintlik dood moes maak doen ons geen skade aan nie. Ons is ongetwyfeld bo hierdie bose magte verhewe in mag, krag en outoriteit as gevolg van Jesus Christus binne in ons. Dit is Hy wat die bose oorwin het. HOE KAN EK AS KIND VAN GOD MYSELF EN MY KINDERS TEEN ALLE NEGATIEWE GOED BESKERM? In die koninkryk van God is daar Goddelike voorsiening gemaak vir kinders van God om in sy koninkryk absoluut gesond te kan lewe sonder enige geestelike of fisiese gebrek of tekortkoming. Daar is Goddelike voorsiening, Goddelike beskerming en Goddelike instandhouding beskikbaar vir al sy kinders. Hierdie beloftes word deel van jou lewe as jy dit in geloof opeis as deel van jou erfporsie in Christus. Dit word ook deur die geestelike beginsels van God se koninkryk beheer en is 100% “foolproof”. God hoef niks meer vir jou te doen nie. Alles wat jy nodig het, het Hy reeds vir jou gedoen aan die kruis op Gólgota. Jy moet heers as ‘n koning en ‘n priester in sy koninkryk en al hierdie beloftes joune maak. Dit kom nie outomaties nie. Eerstens moet jy sy woord leer. Dan moet jy daardie woord in jou hart vas messel (Oggend en aand mediteer) totdat dit deel van jou word. Dan moet jy in geloof jou erfporsie in besit neem. Jy vra God dus nie om vir jou dinge te doen nie. Hy het alles klaar gedoen. Jy “plug” net (in geloof) in sy provisie en voorsiening in en maak sy beloftes deel van jou lewe. Jy máák dit joune. Jy staan op die woord! Baie kinders van God smeek God letterlik hulle lewe lank vir goed soos genesing. Soos bedelaars smeek hulle en niks gebeur nie. Hoekom nie? God wil hê dat ons moet opgroei en volwasse “seuns” van God word wat weet dat ons outoriteit oor ons omstandighede moet neem. Ons moet nie soos kindertjies bly wat vir alles vra nie. “Bedel” en “geloof” kan nie in een sin genoem word nie. Dit hoort nie saam nie. “Outoriteit” en “geloof” hoort saam en is God se plan vir sy volwasse seuns. Seuns van God het geleer om te kyk wat God in sy woord vir hulle belowe het. Hulle het geleer om te kyk wat hulle erfporsie is en wanneer hulle daardie erfporsie in besit mag neem. Hulle het die koninkryk beginsels van God bestudeer en dit in hulle lewens begin toepas. Wat gebeur in die natuurlike familie? Wanneer pa en ma baie keer na ‘n lekker “laat slapie” op ‘n Saterdag oggend opstaan, wat tref hulle in die kombuis aan? Daar sit al vier van hulle om die kombuistafel met sulke breë onskuldige glimlaggies op hulle gesigte. Op die tafel sien jy daar is omtrent niks van gisteraand se braaivleis oor nie. “Gaan trek aan my vrou. Ek en jy gaan by die Spur ontbyt eet” is al wat jy kan uitkry terwyl al vier van hulle uitbars van die lag. Die karnallies het doodeenvoudig vroeg opgestaan en die kombuis betrek. Sonder om enigiemand toestemming te vra het hulle al die oorskiet braaivleis en die ander kos wat oorgebly het gevat en geëet. Hulle het vir hulleself koffie gemaak en hulleself terdeë geniet. Hulle het dit gedoen want hulle is al vier deeglik daarvan bewus dat hulle as erfgename van hulle ouers die reg het om dit te doen. Dit is presies hoe die koninkryk beginsels van God werk. Dit is daar vir al sy kinders. Allerhande voorregte soos redding, verlossing, genesing, voorspoed, vrede, voorsiening, beskerming en gesondheid is tot ons almal se beskikking wanneer ons dit ook al wil hê. Ons hoef glad nie ‘n bedelaars mentaliteit te hê daaroor nie. God se beloftes is alles “ja” en dit is alles “amen” vir al sy kinders. Hy is nie ‘n aannemer van die persoon nie. By God is ons almal gelyk en almal mag van alles kry. Ons moet dit net vir onsself toeëien. Ons moet dit vat. Dit behoort aan ons. Dit is ons s’n. Ons hoef nie die Here te smeek en te vra vir alles nie. Hy het dit alles klaar vir ons beskikbaar gemaak. Alles wat God vir ons wou, wil of gaan doen het Hy reeds alles klaar gedoen. Dit is reeds alles klaar beskikbaar. Ons moet dit net vat. Ek weet daar is Skrifgedeeltes in die Bybel wat ons aanmoedig om God aan te hou vra vir goed en om Hom nie op te hou herinner aan sy beloftes nie. Daar is definitief plek vir hierdie tipe gebed en ons moet dit toepas wanneer sekere beloftes talm om te realiseer. Daar is egter ook ‘n hele klomp Skrifgedeeltes wat dit baie duidelik maak dat ons, as erfgename van God, die beloftes van God ook as konings en priesters deur middel van outoriteit moet vat en in besit moet neem. Ek sal tot die Here sê: My toevlug en my bergvesting, my God op wie ek vertrou. Want Hy is dit wat jou sal red uit die net van die voëlvanger, van die verderflike pes. Hy sal jou dek met sy vlerke, en onder sy vleuels sal jy skuil; sy trou is ’n skild en pantser. vir die pes wat in die donker wandel, vir die siekte wat op die middag verwoes nie! Al val daar duisend aan jou sy en tienduisend aan jou regterhand — na jou sal dit nie aankom nie. want Hy sal sy engele aangaande jou bevel gee om jou te bewaar op al jou weë. Met lengte van dae sal Ek hom versadig, en Ek sal hom my heil laat sien. Welgeluksalig is die man wat die Here vrees,wat ’n groot welbehae in sy gebooie het. Sy nageslag sal geweldig wees op die aarde; die geslag van die opregtes sal geseën word. Oorvloed en rykdom is in sy huis; en sy geregtigheid bestaan tot in ewigheid. Vir die opregtes gaan Hy op as ’n lig in die duisternis: genadig en barmhartig en regverdig. Gelukkig die man wat hom ontferm en uitleen, wat sy sake volgens reg besorg. Want hy sal nooit wankel nie; die regverdige sal in ewige gedagtenis wees. Hy vrees nie vir slegte tyding nie; sy hart is gerus, vol vertroue op die Here. Vas is sy hart, hy vrees nie, totdat hy op sy teëstanders neersien. Hy strooi uit, hy gee aan die behoeftiges; sy geregtigheid bestaan tot in ewigheid; sy horing word verhoog in eer. Die goddelose sien dit en is vererg; hy kners met sy tande en smelt weg; die begeerte van die goddelose mense vergaan. Al gaan ek ook in ’n dal van doodskaduwee, ek sal geen onheil vrees nie; want U is met my: u stok en u staf dié vertroos my. U berei die tafel voor my aangesig teenoor my teëstanders; U maak my hoof vet met olie; my beker loop oor. Net goedheid en guns sal my volg al die dae van my lewe; en ek sal in die huis van die Here bly in lengte van dae. Jesaja 53 sê dat Hy al jou siektes op Hom geneem het. Deur sy wonde het daar vir jou genesing gekom. 2 Kor 8:9 sê dat Jesus Christus arm geword het sodat ek en jy ryk kan word. Uit bogenoemde Skrifgedeeltes kan ons sien dat die kind van God volmaak beskerm word deur die woord van God. Hy het op alle vlakke van die samelewing en op alle vlakke van ons lewens vir ons voorsiening gemaak. Daar is letterlik geen enkele “loophole” nie. Ons is totaal en al volmaak in Christus. Ons hoef letterlik niks te vrees in hierdie lewe nie. Daarom sê die woord van God dat die regverdige uit die geloof sal lewe. Daarom sê dit ook dat ons nie net van brood alleen sal lewe nie maar van elke woord wat deur die mond van God uitgegaan het. Die probleem is dat kinders van God nie geloof het nie. Hulle het nie geloof nie want hulle mediteer nie die woord van God nie. Die geloof is uit die gehoor en die gehoor deur die woord van God. As jy aan en in bogenoemde Skrifte glo maar tog twyfel of dit werklik letterlik opgeneem moet word, dan is ek bevrees dat jy en jou familie nie al die aanslae van die lewe suksesvol sal kan hanteer of weerstaan nie. As jy hierdie Skrifte wel glo maar nie glo dat dit 100% “foolproof” is nie, dan is ek bevrees dat siekte en ellende tog deur die verdedigingslinie kan en waarskynlik gaan breek om skade aan te rig. As hierdie beloftes werklik in jou hartkamers vasgemessel is en jy terdeë weet dat jy weet dat dit absoluut 100% “foolproof” is, dan lewe jy en jou gesin in absolute oorwinning en is julle absoluut onder God se Goddelike beskerming. Dan ervaar julle daagliks Goddelike provisie en Goddelike instandhouding op alle vlakke van julle lewens. Daar is letterlik geen maars nie. Siekte en ellende kom nie as gevolg van bloedlyn vloeke en straf nie. Siekte en ellende kom van sonde en van ongeloof. Kinders van die Here vrees baie goed in hierdie lewe. Hulle vrees want hulle ken nie die woord van God nie. Hulle ken ook nie die krag van God nie. Daarom word hulle aan hulle neuse rondgelei. Daarom kom hulle nie in oorwinning nie. Daarom krepeer hulle van ellende en daarom word hulle siek en lewe hulle in stormagtige omstandighede. Dit is so belangrik dat ek dit weer wil herhaal: Hulle het nie geloof nie want hulle mediteer nie die woord van God nie. Hulle lees dit net en hulle weet daarvan maar dit het nie “Rhema” in hulle harte geword nie. Daarom eis hulle nie hulle erfporsie op nie. Daarom leef hulle dieselfde lewens as die van ongeredde mense. Dit terwyl hulle wettiglik hierdie groot “skat” tot hulle beskikking het. In die hele Bybel van voor tot agter lees jy die woorde: “Moenie bevrees wees nie. Moenie vrees nie. Moenie angstig rondkyk nie”. Hoekom nie? Want God is met jou. Hy sal jou uitred uit dit wat jou bang maak. Hierdie is ‘n geestelike wet in die koninkryk van God. Mense vrees egter en omdat hulle hierdie geestelike wet oortree bring hulle baie ellende oor hulleself. Hulle besef nie dat as die Bybel sê dat niks vir God onmoontlik is nie dan is niks vir Hom onmoontlik nie. Hulle besef nie dat alle dinge vir God ewe maklik is nie. Net so maklik vir Hom om te sê al jou sondes is vergewe, net so maklik word mense van kanker genees. Hulle besef nie sy almag, sy alomteenwoordigheid en sy krag nie. Hulle besef nie dat God elke mens, vandat hy of sy gebore is tot hy of sy dood is, nie een enkele beweging van ‘n hand of ‘n voet, ‘n orgaan, ‘n asemteug of ‘n woordjie gemis het nie. Hy neem elkeen van ons met sy Goddelike sintuie waar. Elke sekonde van elke dag. Hy weet elke woord wat elke mens gaan sê nog voor hy dit sê. Dan kan hy nog elke gedagtetjie van elke mier en mot en by en perd en olifant vir jou neerskryf soos dit gebeur. Hy weet van elke sent wat in jou bankrekening gedeponeer word. Hy weet wanneer die bank bankkoste verhaal in jou bankrekening die oomblik wat dit gebeur. Wanneer jy lê en slaap hou Hy elke beweginkie dop. Hy hoor elke asemteug. Hy weet alles vooruit. Hy mis NIKS nie. Hy weet elke sekonde van elke dag wat met jou gaan gebeur. Nie net in die nabye toekoms nie maar tot in ewigheid weet Hy dit nou al. Elke sekonde. Hulle weet nie dat God, as HY wil, nog ‘n triljoen aardes met dieselfde aantal mense, diere, insekte, en mikroskopiese organismes kan skep en nog steeds weet wat elkeen elke sekonde dink nie. Hulle besef nie hoe groot God se liefde is nie. Hulle besef nie dat God die Vader werklik ons Vader is nie. Hulle weet dat Hy God is maar dat Hy meer jou pa is as jou eie natuurlike pa, dit weet hulle nie. Hulle besef nie dat dit werklik so is wanneer die Bybel sê dat as Hy in jou bly en sy woorde in jou, dan kan jy vra net wat jy wil en jy sal dit verkry. Hulle besef nie dat wanneer Jesus sê dat die werke wat Hy gedoen het, jy ook sal doen en nog groter werke as dit omdat Hy na sy Vader gaan, is werklik so nie. Hulle besef nie dat as jy jou in Hom verlustig, dan gee Hy jou die begeertes van jou hart. Nie die begeertes van sy hart nie, nee, die begeertes van jou hart. Wanneer die Bybel sê dat jy nie hoef te vrees vir peste en siektes en skelms en motor ongelukke en sulke goed nie dan bedoel die Bybel dit regtig presies so. God is heeltemal in staat om jou tot in ewigheid te beskerm teen bose mense en bose magte en gebeurtenisse sonder dat ‘n haar ooit van jou hoof beskadig kan word. Dit is onmoontlik dat selfs een enkele haar gebreek kan word. Hierdie goed is alles gewaarborg! Dit is geestelike beginsels en geestelike wette wat in die koninkryk van God in plek gesit is en dit is almal 100% “foolproof”. Dink jy God kan nie verhoed dat jy per ongeluk raak of doodgery word nie? Dan ken jy God nie. Dink jy dat die engele van God sit en slaap? Weet jy hoeveel biljoene engele daar is? Hulle kan nie getel word nie. Dink jy dat hulle nie in staat is om jou elke sekonde van elke dag van jou lewe op te pas nie om seker te maak dat jy nie seerkry nie? EN toe dit aand geword het op daardie dag, het Hy vir hulle gesê: Laat ons oorvaar na die ander kant. En hulle het die skare verlaat en Hom, net soos Hy was, saamgeneem in die skuit; en daar was ook ander skuitjies by Hom. En ’n groot stormwind het opgekom, en die golwe het in die skuit geslaan, sodat dit al vol wou word. Maar Hy was agter op die skuit aan die slaap op die kussing. En hulle het Hom wakker gemaak en vir Hom gesê: Meester, gee U nie om dat ons vergaan nie? En Hy het opgestaan en die wind bestraf en vir die see gesê: Swyg, wees stil! En die wind het gaan lê, en daar het ’n groot stilte gekom. Toe sê Hy vir hulle: Waarom is julle so bang? Hoe het julle dan geen geloof nie? ELKEEN wat glo dat Jesus die Christus is, is uit God gebore; en elkeen wat die Vader liefhet, het ook die een lief wat uit Hom gebore is. Wie anders is dit wat die wêreld oorwin as hy wat glo dat Jesus die Seun van God is? God het aan ons, sy kerk, al die mag en outoriteit gegee om die aarde te onderwerp en daaroor te heers. Alles wat in die hemel is moet hier op aarde in ons en deur ons manifesteer. Ons moet alles vanuit die hemel in ons absorbeer, sodat die hemel hier op aarde sigbaar word vir almal om te sien. Ons moet die hemel afbring aarde toe. Die hemel moet so alledaags in ons lewens word dat die aardse krimp en verdwyn. “Laat U wil geskied, soos in die hemel, net so ook op die aarde”. Dit is God se “fundamentele” of eintlike skeppingsdoel met sy seuns. As ons dit net wil waag om die skeppingsdoel van God vir ons lewens na te streef, sal ons die aardse of Adamiese wortels van ons afruk en ons hemelse wortels troetel. Van waar is ons? Ons is vanuit die hemel (Joh 3:8 – Ons hoor die wind waai maar ons weet nie van waar dit kom en waarnatoe dit gaan nie, so is elkeen (ek en jy) wat uit die Gees van God gebore is). Soos die hemelse mens (Jesus) is, so is ons. Soos die aardse mens (Adam) is, so is die aardse mense. Ons is nie meer soos Adam nie. Ons is soos Jesus. Ons sit saam met Hom op sy troon vanwaar ons heers. …soos Hy is, is ons ook in hierdie wêreld. Ons is ambassadeurs van die hemel (God). Ons kom uit die hemel. Ons het die hemel in ons. Ons het die hemel saam met ons gebring. Dit is egter ons werk om die hemel in ons en deur ons hier op aarde te laat manifesteer. Dit word in geloof gedoen. Dit word gedoen deur toe te laat dat Jesus Christus in ons en deur ons lewe. Hy ís die hemel in ons. As jy regtig weet wie en wat jy in Christus is en wie en wat Hy in jou is, dan sal jy hierdie aarde bewandel sonder enige vrees. Jy sal weet dat God in al jou behoeftes voorsien. Jy sal weet dat God in staat is om jou dwarsdeur jou lewe tot op jou oudag te bewaar en in stand te hou. Vir jou en vir jou kinders. Jy sal weet dat jy die mag het, wat Hy jou gegee het, dat jy die outoriteit het, wat Hy jou gegee het, en dat jy die krag het, Wat Hy in jou ís, om hierdie wêreld totaal en al te onderwerp en as ‘n koning en priester van God oor al jou omstandighede te regeer. Christus het dit alles vir ons moontlik gemaak. Dit is binne ons bereik. Die bal is egter in ons speelveld. Óns moet dit speel. God kan nie en sal dit nie vir ons doen nie. Hy het al sy mag, krag en outoriteit aan ons gedelegeer en dit maak ons verantwoordelik vir ons eie omstandighede. Christus Jesus het alles wat ons ooit van Hom nodig het of graag wil hê reeds vir ons gedoen. Hy kan niks meer vir ons doen nie. Dit is nou ons deel wat moet gedoen word. Dit is ‘n geestelike beginsel, ‘n geestelike wet waaraan ons onsself sal moet onderwerp. As ons dit nie doen nie gaan ons nie oorwinning oor omstandighede in ons lewens kry nie. Ons gaan die onderspit delf en hoewel ons saligmaking verseker is, gaan ons nou hier op aarde swaarkry. Ook word God daardeur nie verheerlik nie. Wanneer die Skrif verklaar dat die aarde vol gaan word van sý heerlikheid, dan is dit presies hierdie beginsel wat in werking tree. Hy word in ons verheerlik en dit gaan op elke gebied van die samelewing manifesteer. Ons kan egter net die wêreld oorwin en daaroor heers as ons die woord van God ken en dit deel van ons lewens gemaak het. Heerskappy in die koninkryk van God werk deur geloof en deur gehoorsaamheid. Die geloof is uit die gehoor en die gehoor deur die woord van God.